More than 25 easy, pattern-free designs for little girls. Learn how to make a basic beautiful— without straining your schedule or your budget. 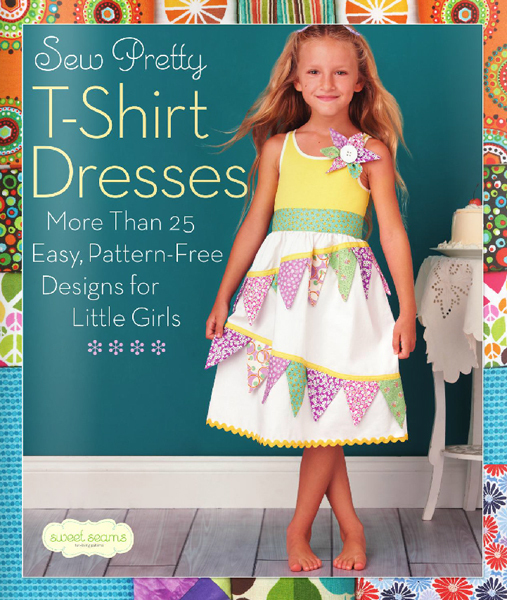 Employing a little know-how and a lot of imagination, the designers at Sweet Seams Studio offer easy instructions for transforming a simple T-shirt into a stylish dress for a special little girl. Perfect for tomboys, fashionistas or anyone in-between—the 25 projects use playful quilting fabrics and clever embellishments to create outfits that are anything but ordinary.